At EY Financial Services, our focus is on building a better financial services industry – not just for now, but for the future. That’s why we employ tens of thousands of people across the globe who focus on financial services and nothing else. We are joined up across geographical boundaries and industry sectors, allowing us to respond faster and deliver a more consistent quality of service to clients around the world. And because our high-performing teams are collaborative and motivated, you’ll have the kind of experiences that will help shape your career in global business. We help global and regional banks to respond to regulatory changes, to strengthen capital, transform, lend and stimulate growth. Our relationship with insurers helps them to build financial strength and better meet the needs of their customers, while engendering confidence in shareholders and trust in regulators. We are at the centre of the wealth and asset management community, working to ensure our clients meet their regulatory requirements, manage risk and add value to their clients. And we enable asset managers to better operate in a volatile and rapidly changing market so they can improve on their investments. It’s how minds made for financial services help to build a better working world. Click to see all vacancies here. 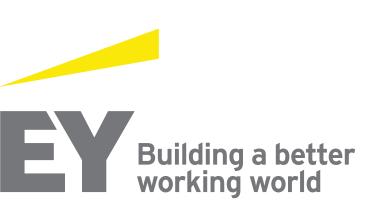 Watch our short video with Eoin Mac Manus, Managing Partner of EY Financial Services Ireland, or read more about working at EY Financial Services.